We created the visual, digital, and written branding around this creative concept. 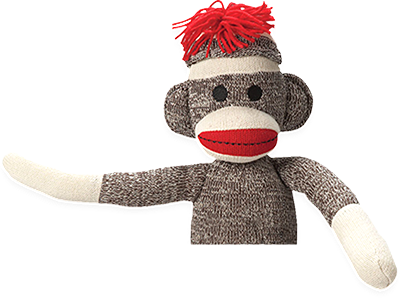 We took on the challenge of helping a family of entrepreneurs, storytellers, and musicians bring their amazing idea to life. In record time we accepted the challenge to design a logo, bus wrap graphics, website (complete with ticketing functionality), and all the messaging for the tour’s launch. 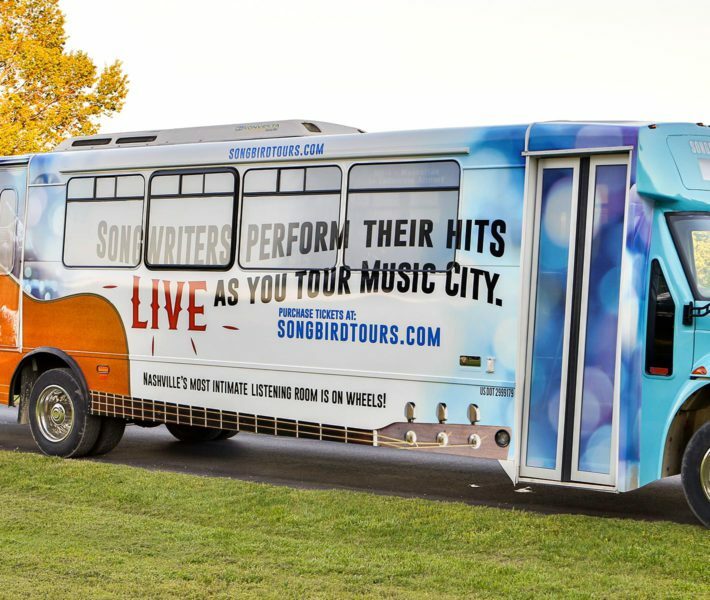 Today, Songbird Tours is fast becoming a Music City must-do and is easily recognizable as it rolls down Nashville’s historic streets. Tourist attractions can easily come and go for two reasons: A) poor branding B) poor messaging that fails to communicate their unique value in a matter of seconds to their target market. 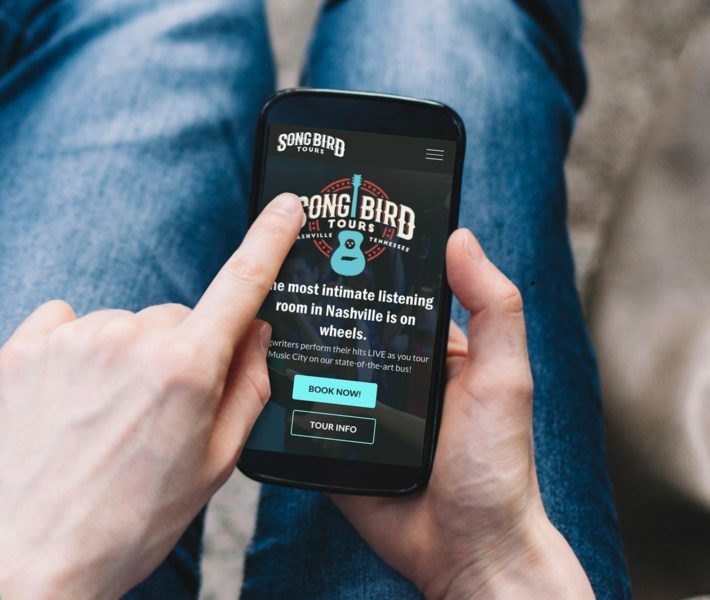 We knew the idea of Songbird Tours had staying power and we did our part to help solidify its brand in a crowded Nashville marketplace. 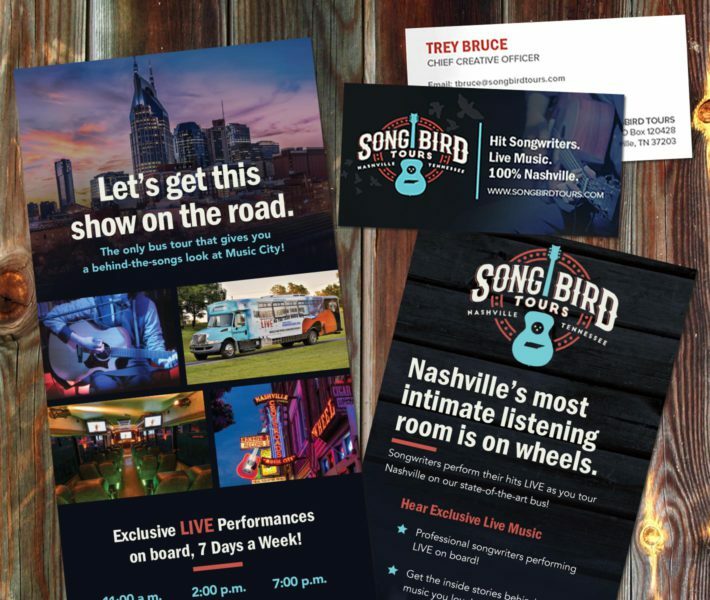 We loved our clients, their passion, and hey—we love our city and it's contagious musical twang! We created an eye-catching logo, bus wrap, website, messaging and taglines, and collateral branding for the tour. 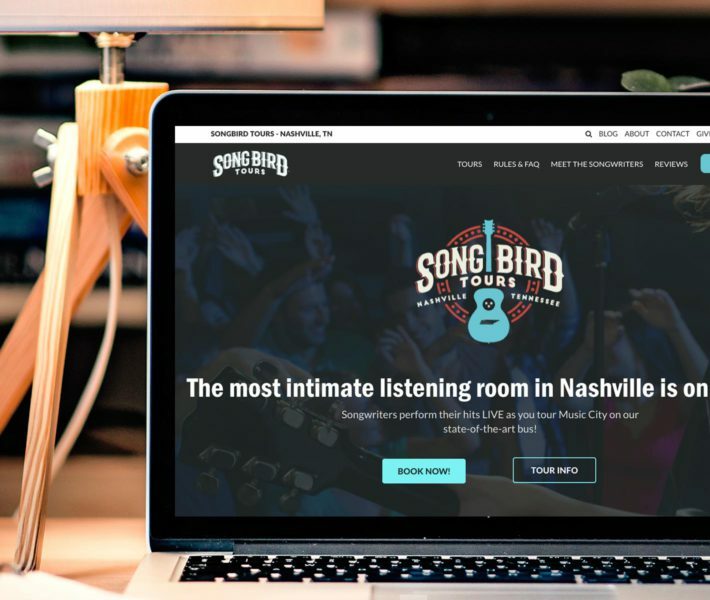 The clients loved the result and, after being on the tour ourselves, we couldn’t be more proud to be even a small part of this important Nashville attraction!